Kenya’s leading mobile provider, Safaricom, is teaming up with data collection startup mSurvey to launch Consumer Wallet ― an online platform using mobile and SMS to map Africa’s cash-based economy. A beta version of the product goes live in Kenya this month. 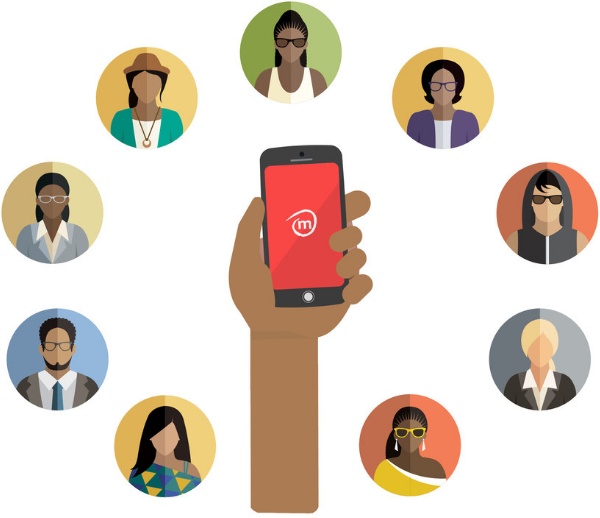 Safaricom and mSurvey are testing the app with potential clients and corporate partners, including McKinsey Consulting, mSurvey CEO Kenfield Griffith told TechCrunch. Griffith was referring to the challenge many business face of quantifying consumer spending habits and trends on the continent, where more than 50 percent of economic activity and employment occurs in informal sectors, according to the African Development Bank. Based in Kenya and operating since 2012, mSurvey harnesses Africa’s shift to digital to better track consumer preferences. The startup employs mobile phone-based surveys to gather data on various topics and market segments. mSurvey has received seed and venture funds from backers including Cross Culture Ventures and Alpha Angels. It also counts Safaricom’s Spark Venture Fund as an investor. The Consumer Wallet partnership pairs mSurvey’s data research function with Safaricom’s internal resources and distribution network. Safaricom is Kenya’s largest telco, with 25 million (65 percent) of the country’s mobile subscribers. In addition to its M-Pesa mobile money product ― used by 16.6 million Kenyans through a 100,744-agent network ― the company has been adding consumer and small business-based products to its mobile network. These include digital TV, the M-Kopa solar-powered lighting kit, Lipa-Na bill pay service and Little ride-hail app, which is now going head to head with Uber. For the Consumer Wallet beta test, mSurvey will use daily SMS and text messages to track the cash-based spending of a 1,000-person sample drawn from Safaricom mobile subscribers. This will feed into the Consumer Wallet database tracking preferences and expenditures on items such as food, transport, education and housing. The Consumer Wallet launch follows a trend of consumer research in Africa becoming a formalized sector. A decade of growth and reform in many of the continent’s core economies, along with expansion in retail sectors, has driven demand for more detailed customer data. Several global consumer-focused companies have expanded in Africa over the last decade, from Wal-Mart in 2011 to Netflix and e-Bay in 2016. Big global research firms such as Nielsen and Euromonitor have been upping their African consumer research offerings. An American company, GeoPoll, has also built out a digital survey service and database in 20 African countries. mSurvey expanded its core consumer research platform into South Africa in 2016 and is looking at moving into countries such as Zambia, Ghana and Nigeria, according to Griffith. Though neither would name countries, both mSurvey and Safaricom plan to take the new Consumer Wallet beyond test market Kenya to other nations on the continent. “To invest in Africa, you have to understand its consumers,” said Safaricom CEO Bob Collymore, on the value of the new platform to businesses looking to tap the continent’s cash-based economy.